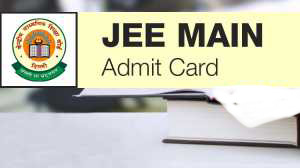 Download JEE Main 2019 Admit Card here! JEE Main 2019 Hall Ticket will be available to download from 8th January, 2019. To download the card, candidates have to fill in their roll number and board exam details for Class 12. Students may call the JEE Main Call Center at 8506061071 to 78 for any facilitation regarding downloading of admit cards between 10 am to 5:30 pm. Make sure that you have multiple copies of JEE Main 2019 Admit Card at hand and they are kept safely. It is a very important document and may be needed at anytime in your life to prove that you did apply for the exam and took it too. Here’s an interesting anecdote about how an IITian used his Admit Card to prove his beloved that he had first seen her at the JEE examination center! While download the Admit Card, note that your Name, Paper, Date of Birth, Gender, Test Center Name, City, Category and State Code of Eligibility are all mentioned correctly. In case of a mismatch or doubt, contact the JEE Main Secretariat immediately. Admit Card is only issued provisionally and it is the responsibility of the candidates to make sure that they meet the eligibility criteria. If a discrepancy is found later, his or her candidature will be deemed cancelled. Candidates will have to show their Admit Card whenever it is demanded for. If a candidate is found not to be carrying his or her Admit Card, he or she will not be permitted to sit for the exam under any circumstances.